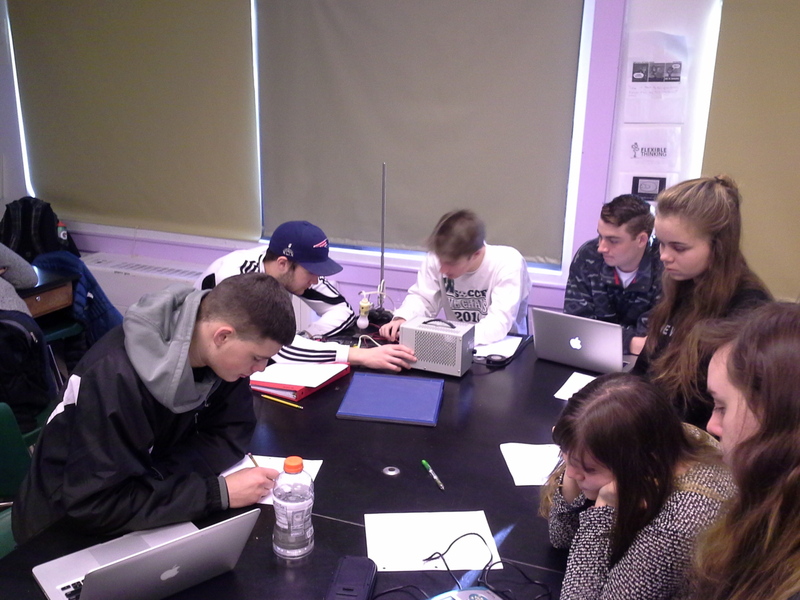 Students will continue to explore a variety of electromagnetic phenomenon. It is important to balance theory with observation - particularly, as is the case with electromagnetics, when the theory is not intuitive. Today's lesson allows plenty of time for students to continue their investigation of "Four Big ideas' in electromagnetics. At the beginning of class, however, I wish to promote some new thoughts about one of the big ideas - the photoelectric effect. The argument - that this phenomenon can only be explained by modeling light as a stream of particles - is a very subtle one and, if we are to be successful at understanding the argument, we need to be very clear about the phenomenon itself. For this reason, I delay today's investigation by taking some time to look carefully at the photoelectric effect. A critical decision I make right from the start, however, is to conceal the nature of this big idea but let it develop through conversation and student thinking. I do NOT refer to the photoelectric effect at the beginning of this segment of class. Indeed, the first request I make of students is to complete a free-write about an unlabeled cartoon image. After privately considering the image, I ask students to "turn & talk" with a neighbor about their insights. After sharing with a neighbor, we have a short discussion as a whole class. I elicit student responses and we build the following common understanding: light comes in from the left-side of the image, electrons are liberated on the right-side, and the material is likely metal due to its "willingness" to allow electrons to become mobile. I follow that with a second image - a cartoon image of the atom. Here we talk about the competition of energies: the energy of the incoming light versus the binding energy that keeps the electron connected to the nucleus. 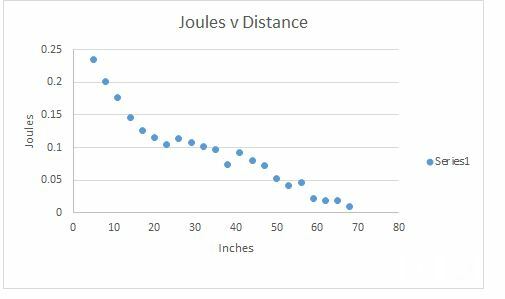 To motivate the idea of binding energy, I call upon students' background knowledge of Coulomb's Law. I label three electrons, two of which are at the same distance form the nucleus and one which is in an inner orbit. I ask students to make a claim about the relative binding energies holding these electrons in place. They correctly identify the outermost electrons as being bound less tightly, due to their further distance from the nucleus. We end the conversation with the statement that, should electrons not be liberated by incoming light, we would want to increase the energy of the incoming light. Students identify that, if light is a wave, we should be able to increase its energy by increasing its amplitude - the brightness of the source. This is an intellectual investment - I want to return to this idea at a later point to see the failure of the wave model of light in this circumstance. "How does your data support the fact that _____________?" where the blank is to be filled in by each of the Big Ideas. The learning targets are HS-PS4-3 and HS-PS4-5 along with NGSS Science and Engineering Practices of planning and carrying out an investigation (#3), analyzing and interpreting data (#4), and engaging in argument from evidence (#7). Student have the assignment packet which provides drawings and some details about these investigations. I reassure students about two things: a) we will take multiple class periods to do this work and b) I will not assign a due date until we let the activity develop a bit. I don't want students rushing through stations to meet a deadline that is poorly chosen. Without the pressure of a deadline, however, I need other ways of ensuring that students are progressing each day. to that end, I introduce two ideas. First, at the end of each day, I want to see contributions to an ongoing reflection document, to be added to by each team. In addition, half of the assessment of this assignment begins right away - there are grades to be assigned for Self-Direction and Collaboration, two of our school's Learning Expectations. I have enough materials for each Big Idea to be explored by two teams simultaneously. Knowing this, it is beneficial to have students work in small (no larger than three people) groups. It is also easy to have student-teams choose a station to start from, without fear of contention for materials. Students move to the back of the room to pick up materials that are relevant to their current station. I help teams get started and provide some oversight, particularly for those groups who may be starting new stations today. Furthermore, as I circulate, I check in with teams to determine whether or not they should be rotating to a new station. Though teams benefit from previous groups' insights (students are encouraged to suggest strategies and practices that are beneficial), they are expected to develop their own data sets. Here two students are setting up the photoelectric effect station. The lamp is held in place with a clamp and a lab stand while the photocell is on the table. 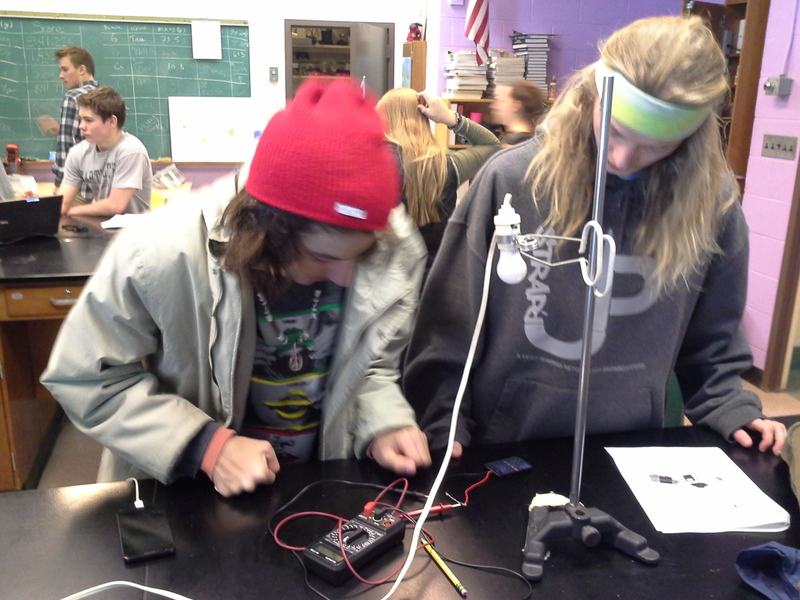 These students have decided to test the output energy of the photocell as a function of distance from the lamp. 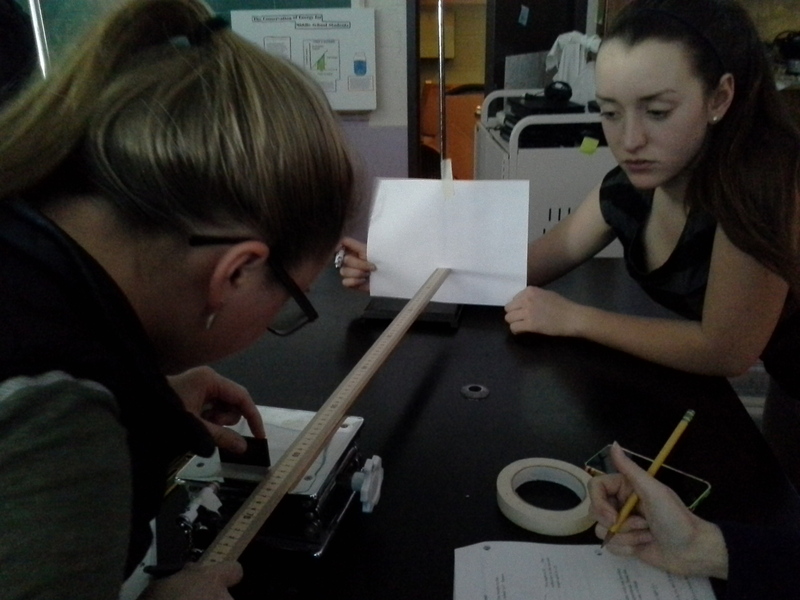 These students are in the early stages of replicating the double slit experiment. At this moment they are measuring the distance between the slits and the screen where they project the interference pattern. We use small but bright lasers that are available at a local thrift store (and sold as cat toys!!). Here two groups are working in close proximity. The group in the background is considering the photoelectric effect while the team in the foreground is completing their work with the induction of magnetic fields from moving charges (materials not shown). We stay in this mode until about 5-10 minutes are left in class at which point those teams with strong data share their findings to the whole class. As a way to celebrate good work and effective focus, I allow a few minutes at the very end of class for teams to show off some exemplary data. Students come up quickly to the Smartboard and, having previously shared their results with me electronically, access their files to show the class. This team's data shows some wonderful results from the solenoid stations: magnetic fields are directly proportional to the amount of current running through the solenoid. It's important for me to remember that this is not a final submission ; problems with titles, axes, etc. can be addressed later. Today, we celebrate the quality of the data and the ways in which the data demonstrates the big ideas. Below is a second example from another group looking at the same phenomenon. Finally, here is data from the wind turbine station whose Big Idea is that a moving magnetic field can induce charges to flow. These students alter the distance between the turbine and a large room fan. With greater distance the turbine turns more slowly and the amount of electric energy decreases. This group is intrigued by the "noisiness" of the data and offer up the possibility that the flow from the fan can be more or less turbulent at various distances from the fan, an idea with some promise though well outside the scope of this investigation. The class ends on upbeat notes like this one.